Wolf’s Foreign Auto Service, Inc. has been providing high-quality foreign auto repairs in Merrillville, IN since 1977. We offer a full range of services, from complete computer diagnostics to oil changes, alignments, brake changes and more. Visit our ASE-certified team today for all of your foreign auto repair needs. When you drive a foreign-made vehicle, you know that one of the major challenges is finding a foreign auto service in Merrillville, IN that has the necessary expertise to repair your vehicle in the event of a problem. As the area’s leader in foreign auto repairs since 1977, Wolf’s Foreign Auto Service, Inc. is here to provide your vehicle with the precise and thorough services it needs. 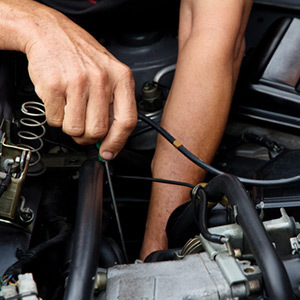 We offer a full range of repair and maintenance services, from oil changes to engine repair. We offer outstanding and highly skilled foreign auto services. You can always depend on us to provide both careful and efficient repair services. We service a wide variety of foreign makes and models. We’ve been a proud local business since 1977. We always aim to offer competitive and transparent pricing. Our foreign auto repair services include engine repair, transmissions, overhauls, air conditioning, radiator repair, emissions, suspension, steering system, fuel injection, brake repair, electrical repair and much more!